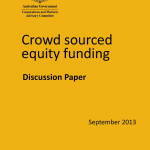 This chapter explains the CAMAC review of crowd sourced equity funding (CSEF), summarises the review process and invites submissions on any aspect of the review. 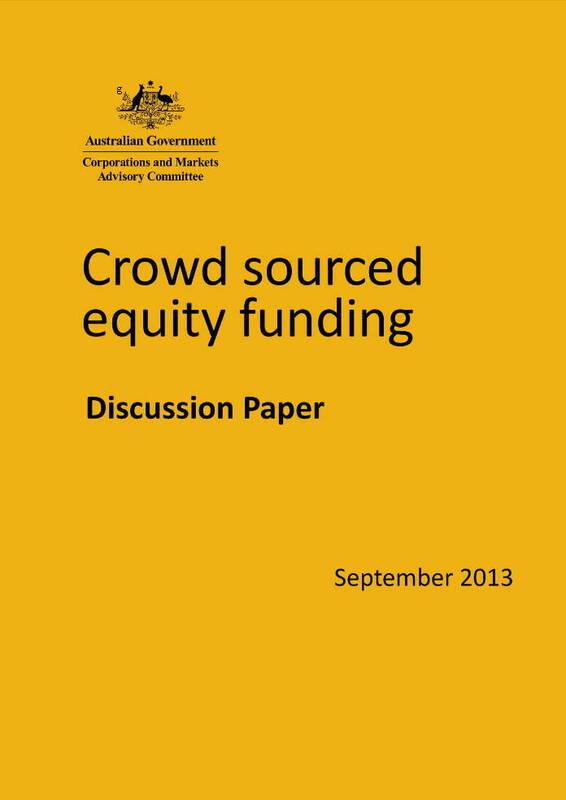 In Advancing Australia as a Digital Economy: An Update to the National Digital Economy Strategy (June 2013), reference was made to holding an independent review of the regulation of crowd sourced equity funding (CSEF). CAMAC was asked to conduct that review. CSEF is a relatively new and evolving form of capital raising. Broadly, it refers to schemes through which a business seeks to raise funding, particularly early-stage funding, through offering debt or equity interests in the business to investors online. Businesses seeking to raise capital through CSEF typically advertise online through a crowd funding platform website, which serves as an intermediary between investors and the business. Posted in Business Intelligence, Economy, Entrepreneurship, Federal, Innovation, Private Equity, Skills and tagged Australia, CAMAC, capital raising, crowd funding platform, crowd source, crowd sourced equity funding, CSEF, debt interests, Digital Economy, early-stage funding, equity funding, equity interests, raise funding.